The jailed film director "automatically" became a Russian citizen. Russian Ministry of Justice has refused to transfer Oleh Sentsov to serve his prison sentence in Ukraine. According to an official response by the Ministry of Justice of the Russian Federation that Deputy Justice Minister of Ukraine Serhiy Petukhov posted on Facebook on Friday, 21 October, Sentsov's transfer to Ukraine is impossible, since he "automatically" become a citizen of Russia after the annexation of Crimea. According to the document dated 7 October, the Russian Federation considers Sentsov as an own citizen and refuses to give him over to Ukraine pursuant to the Convention on the Transfer of Sentenced Persons. 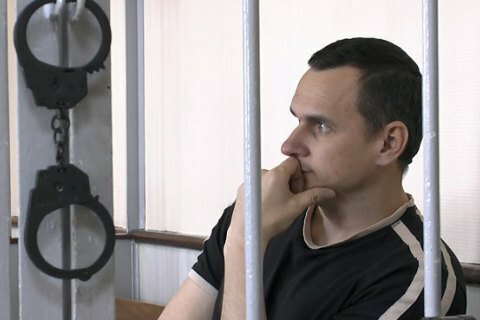 This March, Ukraine's Ministry of Justice has requested the Russian side to return Oleh Sentsov to the territory of Ukraine in March this year. In early May of the current year Sentsov and Kolchenko filled in documents for their extradition to Ukraine. The North Caucasian District Military Court in August 2015 found Sentsov and Kolchenko guilty of establishing a Crimean terrorist group, committing two acts of terror, the preparation of another act, and an attempt to purchase explosive devices and illegal posession of weapons. Sentsov was sentenced to twenty years imprisonment, Kolchenko to ten years imprisonment. Oleh Sentsov is serving his sentence in Yakutia, Russia.